Añejo X 100% Weber Blue Agave tequila by Espolòn has aged for six years to develop its unique taste and character. 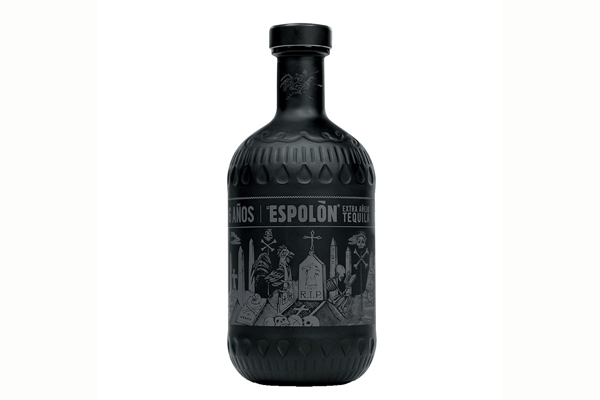 The matte black bottle in which it is packaged is just as remarkable, with illustrations inspired by the legend of The Day of the Dead. Produced in very limited quantities, and sold US$100.